Associa Northern California helped dig in the shovels and move the dirt at the site of the new community Boulevard. Brookfield and Cal Atlantic Homes are the developers for the Dublin, California neighborhood which will build-out up to 1,995 homes when complete. The groundbreaking took place on July 12 at the site of the future community on Dublin Boulevard and Sterling Street, formerly part of the Army's Camp Parks. 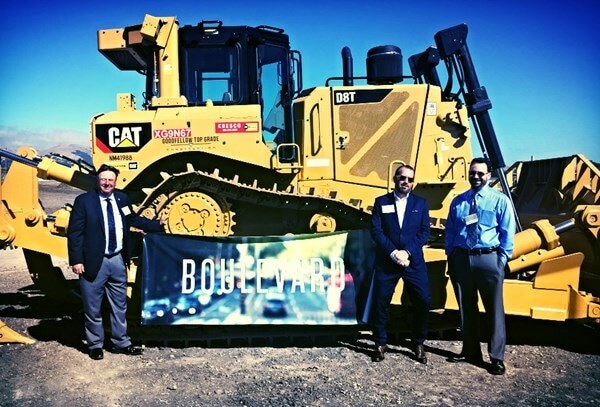 "We are very excited to be partnering with Brookfield Homes and CalAtlantic Homes on the Boulevard community," says Associa Northern California Senior Vice President Greg Smith. "Associa's integrated serviced and company values based upon community involvement and innovation are perfect for what the homebuilders are envisioning for the neighborhood." Building and managing successful communities for more than 37 years, Associa is the worldwide leader in community management with over 10,000 employees operating more than 180 branch offices in the United States, Mexico, Canada, the United Arab Emirates and South Africa. Based in Dallas, Texas, our industry expertise, financial strength and innovation meet the unique needs of clients across the world with customized services and solutions designed to help communities achieve their vision.